The 1699 Monoscope tube is the same as the 2F21 Monoscope Tube that produced the famous Indian Head Test Pattern seen on most US television stations at Sign On and Sign Off, except the 1699 contained a Station specific or custom Logo rather than the Indian Head. What most of the viewing public did not know about the image produced by these tubes was that it was a very detailed test pattern for aligning television systems geometry and frequency response. This particular 1699 comes from the Nation's Oldest Operating UHF Television Station WSBT-TV in South Bend Indiana. 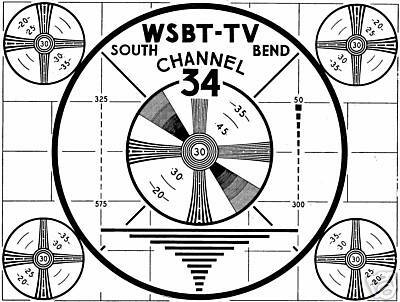 When WSBT-TV went on the air December 22, 1952 they operated on UHF Channel 34. In 1958 the decision was made to switch to UHF Channel 22 which was significantly lower in frequency and would allow more efficient operation of the transmitter and more importantly the UHF TVs and set top box UHF converters that used a 6AF4 oscillator tube. (Note: Keep in mind the technology at that time! UHF - Ultra High Frequency was much like we think of GHz now and was all done with vacuum tubes). 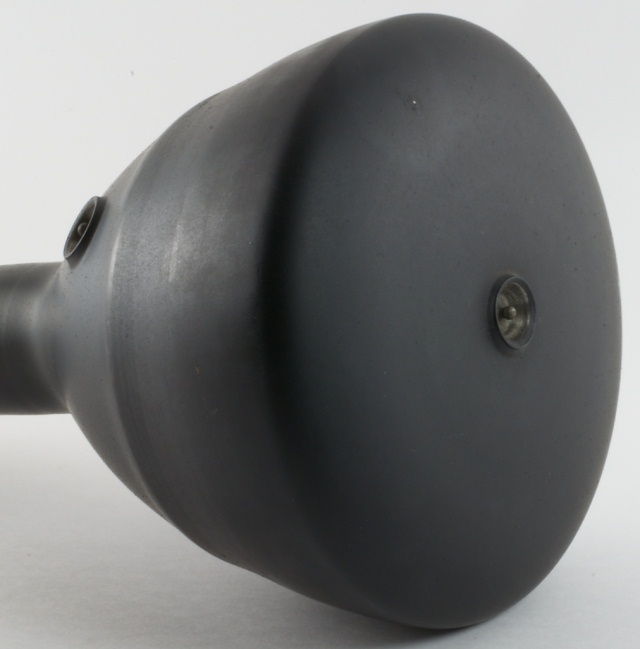 This tube was used in a TK-1B monoscope camera at the studio and was removed from active service at channel change in 1958. It was replaced with a standard 2F21 Indian Head tube and saw brief service again from January 30, 1961 to August 26, 1961 when the Indian Head tube failed and a replacement was on order. Diamètre • Diameter • Durchmesser : 12,6 cm • 5"